Composite Propolis Antiviral Drug, Antivirus Pioneer. 1. 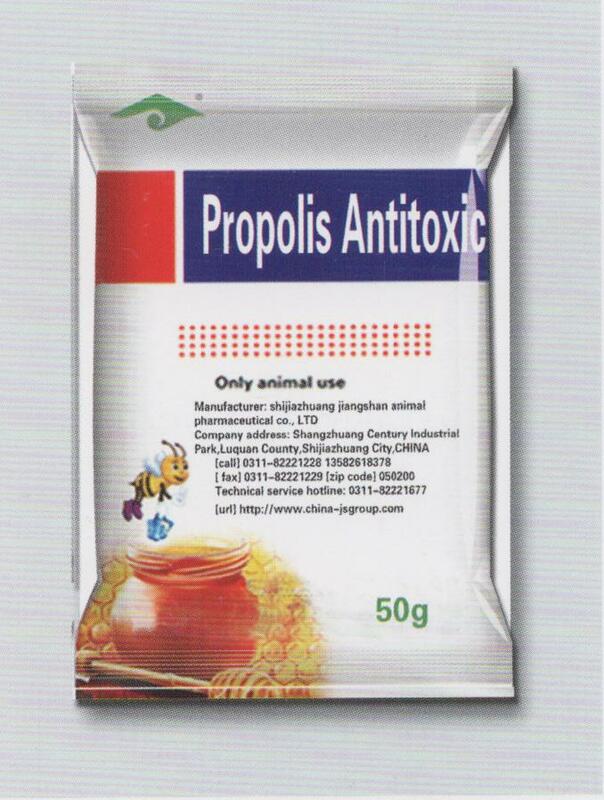 Propolis Antitoxic Veterinary Soluble Powder uses the newest an the most specific anti-viral drugs --Arbidol as the main composition.Composite Propolis Antiviral Drug has special effect for restraining the variation flu virus and some virus reproduction,e.g. Newcastle virus reproduction.Propolis Antitoxic Veterinary Soluble Powder can control of the popular viral disease rapidly. Propolis Antitoxic Veterinary Soluble Powder is Chicken Antibiotics Medicine and Veterinary Prevention Medicine. 2.Propolis,Cimetidine and Cecropins coordinate in the proper proportion,it can stimulate animals immunity in the largest degree and stimulate the body`s immunocyte.Propolis Antitoxic Veterinary Soluble Powder improves the animal cell immunity and humoral immunity.Composite Propolis Antiviral Drug was clinically applied to remove immunosuppression disease effectively,e.g. The Reticuloendotheliosis,Chronic Lymphocytic leukemia and infectious bursal disease caused the animal immunosuppression. 3.Arbidol and Carbasalate Calcium use together can bring down a fever,antiphlogosis,analgesia,increase appetite,prevent acidosis,improve the body antishock ability. Usage and dosage:50g/bag,500L water mixed the drug per bag,once a day,used in conjunction with 3-5 days.Double dosage for treating. Looking for ideal Propolis Antitoxic Veterinary Soluble Powder Manufacturer & supplier ? We have a wide selection at great prices to help you get creative. All the Composite Propolis Antiviral Drug are quality guaranteed. 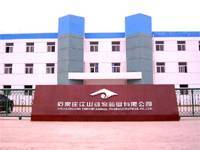 We are China Origin Factory of Veterinary Antivirus Pioneer. If you have any question, please feel free to contact us.